The 18th Annual Big Bend Blues Bash hailed thousands of visitors throughout the weekend ranging from the yearly regulars to the newcomers. 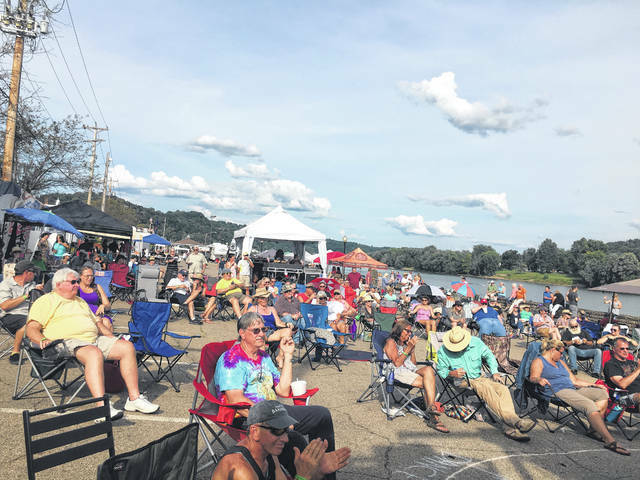 POMEROY — People from near, along with those from far, gathered in downtown Pomeroy this weekend to enjoy time with their friends as well as an array of musical performances and locally-crafted brews. Blues Bash organizer Jackie Welker commented the 18th Annual Big Bend Blues Bash hailed thousands of visitors throughout the weekend ranging from the yearly regulars to the newcomers. Bash goers were able to experience the musical styling of several artists beginning last Friday at 6 p.m. with Snugglefish kicking off the bash and continuing into Saturday with Dwayne Dopsie and Zydeco Hellraisers rounding it out. The line-up consisted of returning favorites as well as offered new favorites for the bash goers. Though all of the performers were individually impressive in their own ways, Welker felt Dopsie knocked it out of parking lot. Along with the Blues Bash going on downtown, Court Street Grill had musical performances on both Friday and Saturday night and the Maple Lawn Brewery had musical performances on Saturday. The Big Bend Blues Bash continues to return every year because of all the increasing community support the live, local music scene keeps receiving. Welker extended a special thank you to Mayor Don Anderson and the Pomeroy Village Council, Police Chief Mark Proffitt and the Pomeroy Police Department, Phil Ohlinger and the Pomeroy Blues and Jazz Society, Fire Chief Rick Blaettnar and the Pomeroy Fire Department, Floyd Ridenour, the local AEP line crew, and all of this year’s Blues Bash sponsors and support staff. https://www.mydailytribune.com/wp-content/uploads/sites/42/2018/07/web1_0731.Blues_.jpgThe 18th Annual Big Bend Blues Bash hailed thousands of visitors throughout the weekend ranging from the yearly regulars to the newcomers. Erin Perkins is a staff writer for Ohio Valley Publishing. Reach her at (304) 675-1333.